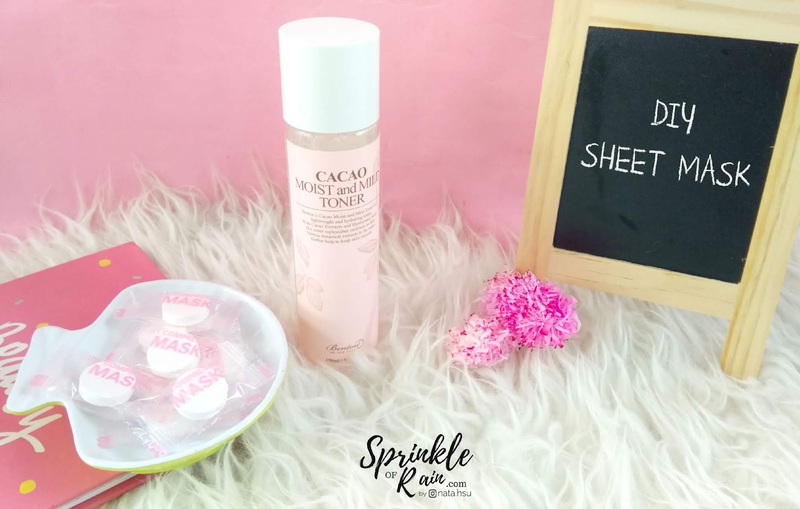 So dear, do you have a sensitive skin and searching for a hydrating toner that can make your skin smooth, healthy and glowing ? If your answer is a YES, it means that you're comin' to the right post. Because in this post, I'll tell you a toner that can make your skin hydrated, smooth, healthy and suit your sensitive skin :D Yep same as the title, it's BENTON new product, CACAO MOIST AND MILD TONER. (Btw, I got this product for review purpose, thank you Benton !). 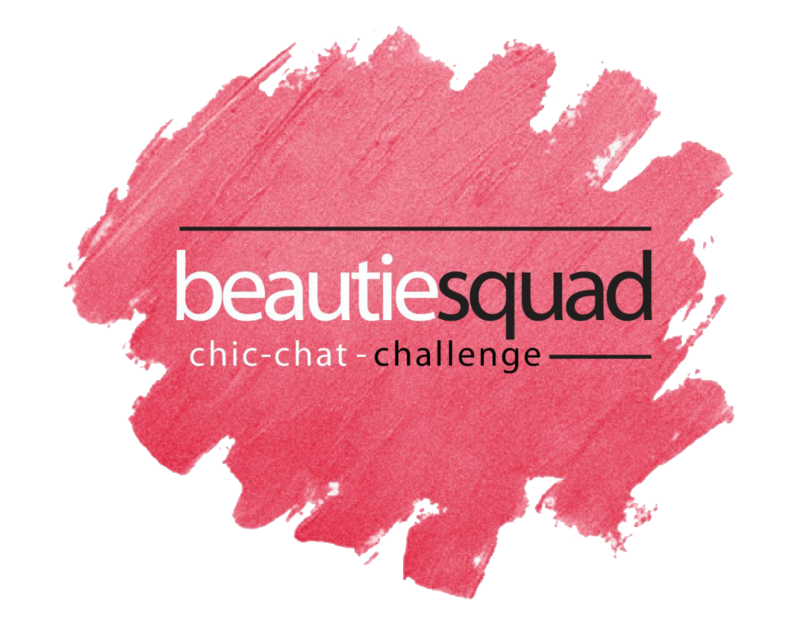 Q : "Dear, I have an oily skin, but this product works to make skin hydrated, isn't it will make my skin more oily?" 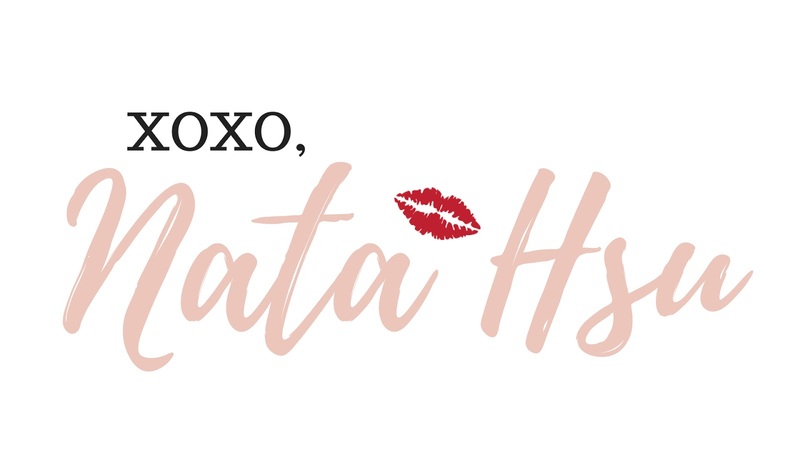 The answer is NO, you need to know that dry skin and dehydrated skin is different. This product will make your skin hydrated, and won't make it more oily, because this product is sooo light for oily skin, as you may know that oily skin needs light product. FYI, I have an oily skin, but sometimes my skin are so tight and dehydrated. 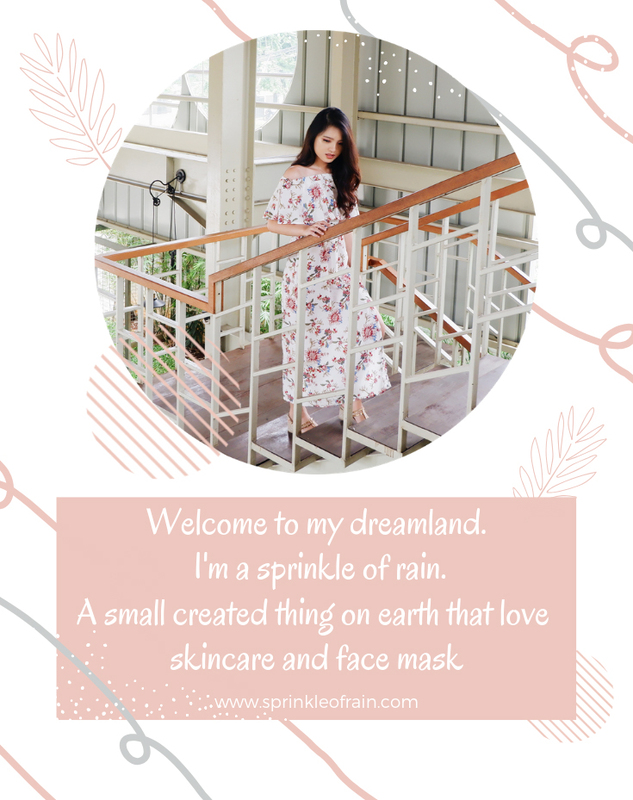 It means that even tho you have an oily skin at the OUTSIDE, you can have a dehydrated skin at the INSIDE ^^ So, you still need hydrating products. 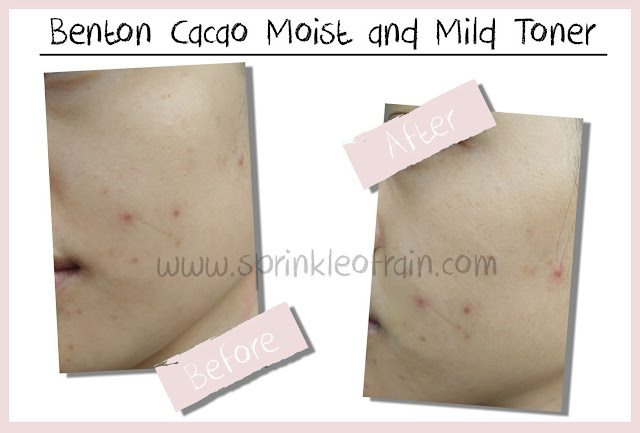 Now, are you curious about Benton Cacao Moist and Mild Toner ? Keep scrolling ! 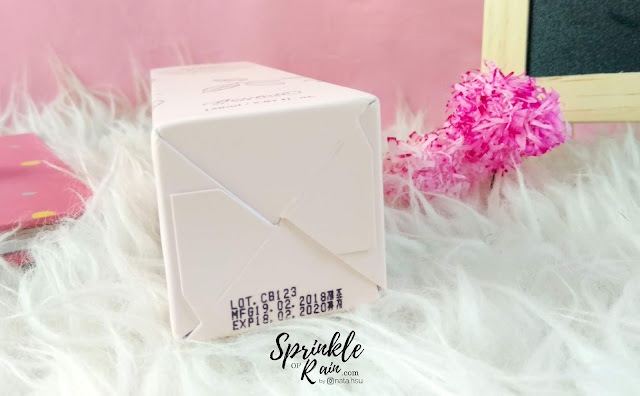 First, let's talk about the packaging. So, this product come with a box, I guess all of the Benton product usin' a box to keep the product safe. 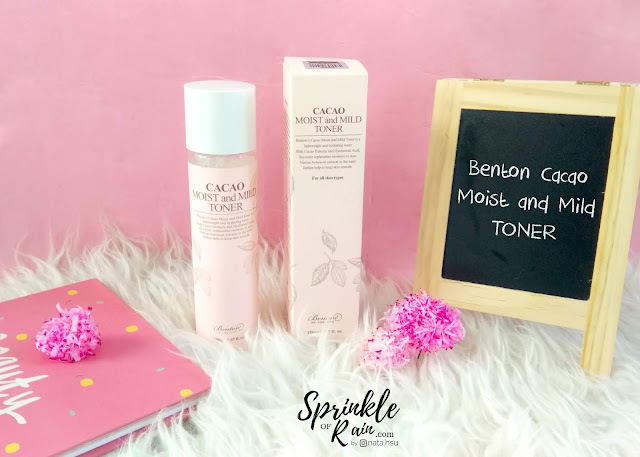 The design of this toner same as the other Benton's "Cacao" series (Serum, and Cream), so simple and minimalist. The packaging texture is doff and smooth. 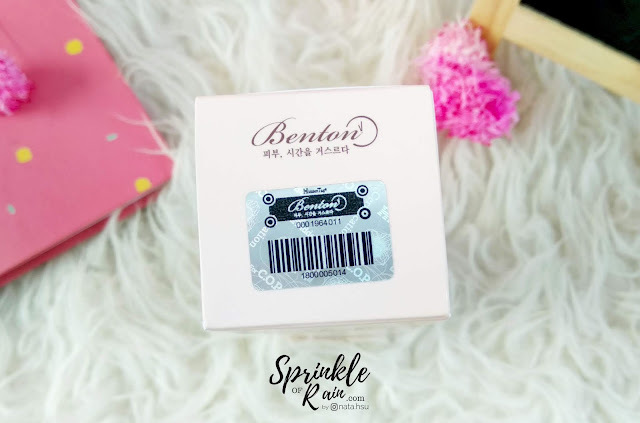 At the top of the box, there's Benton's logo and Bar Code to verify the authentification of the product. As I said in the previous post of Benton product, some Korean brand rarely put English translation on their packaging and I totally love how Benton put it on their packaging (I mean, Benton are so ready to satisfy their international customer). So, the packaging said that Benton's Cacao Moist and Mild Toner is a lightweight and hydrating toner. With Cacao Extract and Hyaluronic Acid, this toner replenishes moisture to skin. Various botanical extracts in the toner further help to keep skin smooth. This toner is a perfect toner to use in the first skincare step after cleansing. 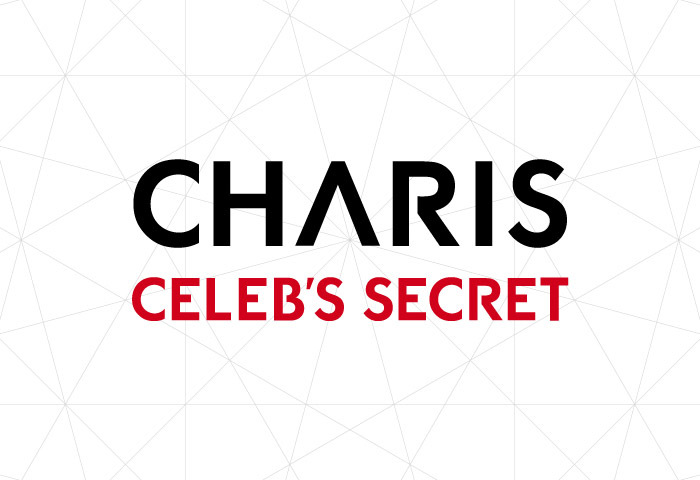 Because, after cleansing, skin gets most vulnerable losing much moisture. 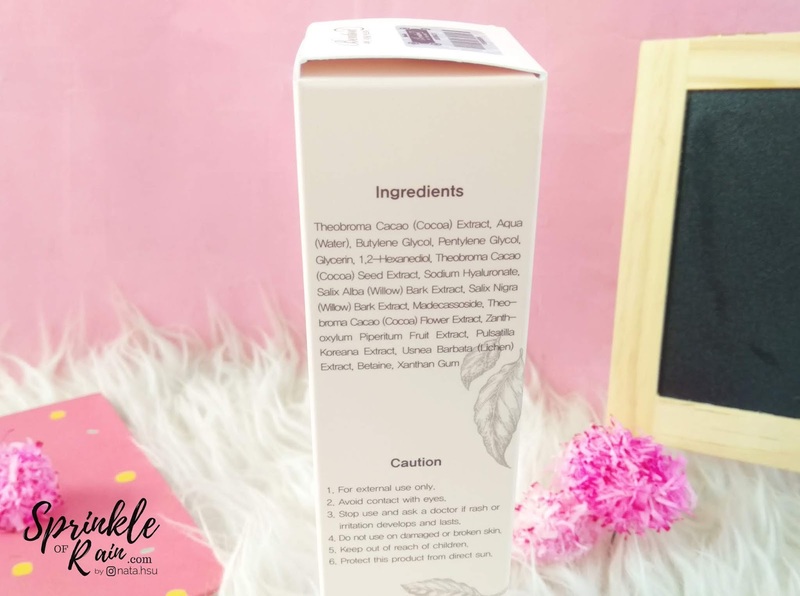 This toner is FREE of skin-irritating artificial fragrance and volatile alcohol that gives a refreshing effect (but dries your skin), and Hyaluronic Acid in the toner will help you to hydrate your skin and keep it smooth and healthy glow. 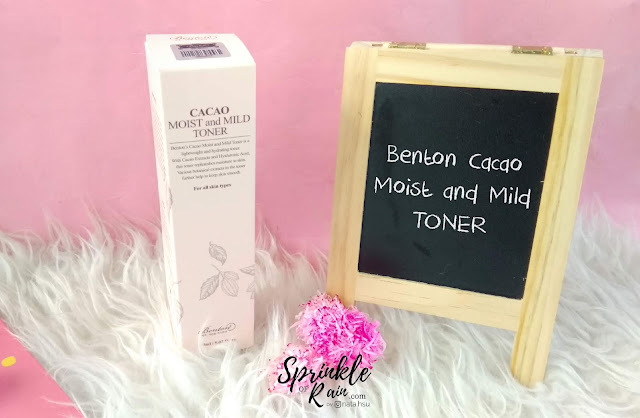 I've checked the ingredients, and there's a lot of ingredients that used as a skin conditioning, which is good to make your skin smooth and healthy :D The main ingredients of this toner of course Cacao. 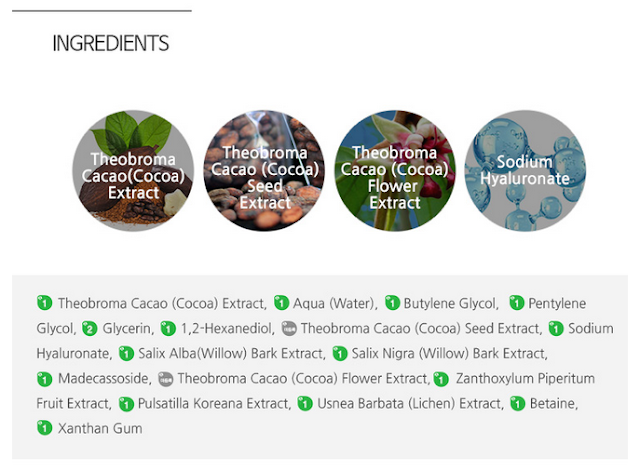 Cacao Extract : Rich in antioxidant polyphenols and minerals, Cacao extract moisturizes and keeps skin supple and smooth. Cacao Flower Extract : Extracted from the seed of Cacao tree, it's one of the key moisturizing ingredients. 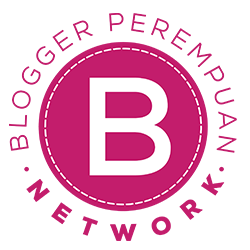 - Oily Skin that needs a light hydrating product / skin with poor water-oil balance. 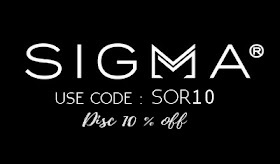 - Skin that wants a clear skin tone with a mild hydrating product / dehydrated and tight skin. 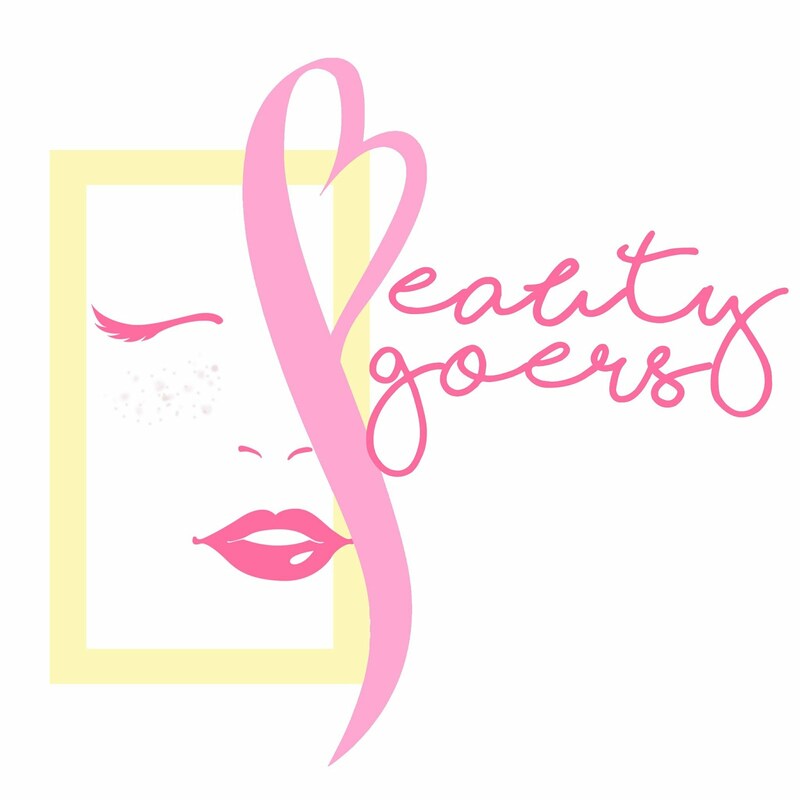 - Skin sensitive to harmful chemicals and external stressors / dull skin lacking nourishment. Don't forget to check the mfg date and exp date at the bottom of the box (and the product). Best before 6 months after opened. Store the product in cool areas and avoid direct sunlight. Back to the packaging, it comes with a plastic bottle, and so handy ! It's so slim :D Love this ! The sticker is doff and there's an information about the product (same as the box). 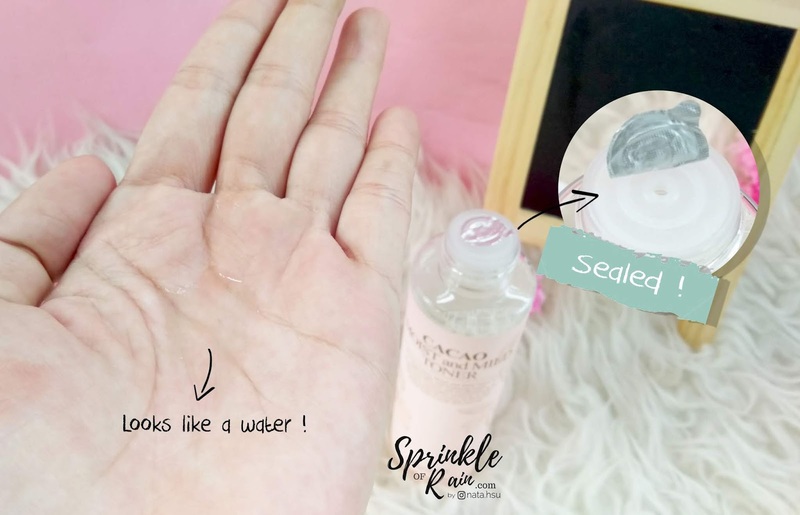 This toner is so perfect for 7 skin method (It's a Korean trend that usin' hydrating toner 7 times in a row). But, besides usin' it as a toner, I usually love to use this as a MASK. Yes, SHEET MASK. 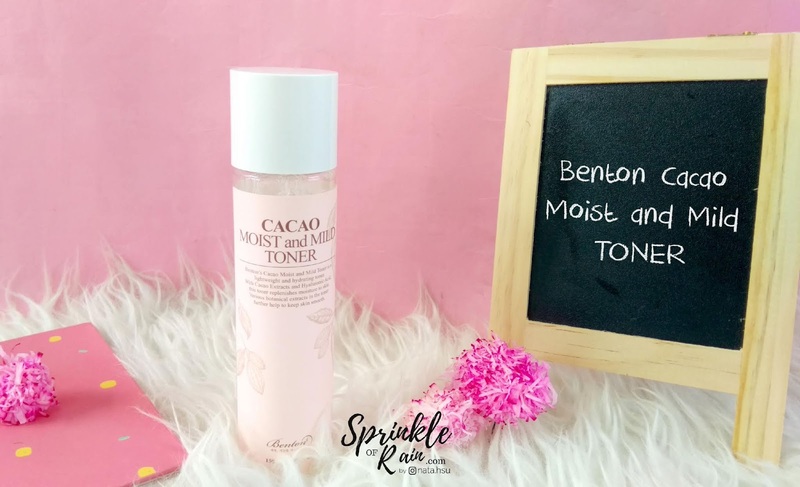 I only need, compressed mask and this Benton Cacao Moist and Mild Toner. As you can see, after usin' this as a mask, I can feel that my skin are brighter than before. It's glowing too ! So, do you want to try this new baby from Benton, Dear ? Aku belum pernah cobain produknya Benton nih, ini kok unik toner dari bahan cacao tapi nggak berbau coklat yah :D Trus aromanya ada kah tapi? 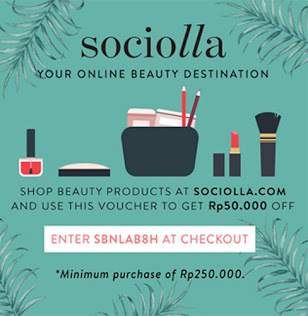 Atau kayak air aja gitu..
Nyaris ga ada wanginya sama sekali kak, unscented kayak air hehehe. Aku blm pernah coba Benton sih, soalnya liat harganya bisa auto mundur 😅😅😅😅. Tapi rmang banyak yg bilang bagus buat mencerahkan sivarian cacao ini. Is it possible foe dry skin?